The Game Developers Conference is the biggest professional game dev event in the world, and this year the main annual conference is devoting a huge amount of time to the growing gaming world of virtual reality. So much so, in fact, that it's running a Virtual Reality Developers Conference alongside the first two days of the March show. 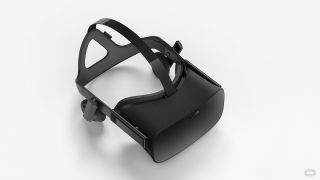 With this extra event happening in conjunction with the main conference, more than 10% of the 400 lectures, panels, tutorials and round-table discussions will be concerned directly with the topic of VR, with likely even more touching on the subject indirectly over the long week of developer sessions. That's a big change from last year where there were only 13 sessions devoted to the development challenges of VR, a yearly increase of over 200%. If you had any worries that there wasn't enough interest in VR from proper professional game developers, then this global gathering of the great and the good of the gaming world ought to put those fears to rest. The sessions aren't just concerned with the technical challenges of VR either. There's a lot of focus on narrative and physical barriers too, with the likes of HBO discussing the creation of believable characters in VR and Seismic Games talking about identity confusion in VR narratives. Sony will also be there talking about creating great audio for AAA VR games. And considering its PlayStation VR is likely to have the most AAA VR games when it does finally launch this year, it is worth listening to what it has to say. However our favourite session will surely be 'Hedgehog Noises in VR – Audio for Oculus Story Studio's Henry.' That is surely going to be an illuminating insight into the world of virtual hedgehogs. But it isn't just about VR. There will be a whole heap of new information about upcoming games, as well as talk about new platform developments. Microsoft will be there talking about its plans for breaking down the walls between console and computer with Xbox for Windows, and Remedy is set to discuss the development of its exciting new IP Quantum Break. The Game Developers Conference kicks off on March 14, and we'll have all the key news and announcements from the show. Why 2016 is a great time to be a PlayStation gamer.